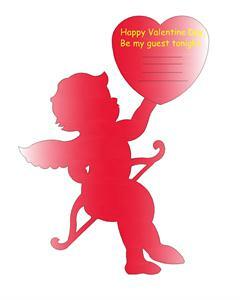 Valentine day is approaching and all of your friends and loved ones are keenly awaited the party at your home. So to full fill their expectations we are here with some interesting Valentine day Party Decoration ideas and tips to make your Valentine's Day Party more enjoyable and memorable. Read the article mentioned below to get some awesome ideas for valentine parties. Valentine day a day of love is probably the most awaited day for the party lovers and if you also want to throw a great valentine party at your home than our experts are here to help you with some Valentine day Party Decoration ideas and tips which will surely make your party rocking and memorable for your guests. Valentine part invitation: If you are going to arrange the Valentine party at your home than choose heart-shaped, cupid, lock and keys or roses shape cards to send your invitations. Write beautiful quotes in your handwriting to give the personal feeling in your invitation. How to choose Valentine Party Colors: As we all know that red symbolize the color of love so valentine decoration cannot be complete without using the red color, so use red, pink, white, golden and silver color for your party decorations. Choose red and golden candles, white and pink color drapes, red heart shaped balloons to decorate your part place. It would be fun if you could also persuade guests to come dressed in Valentine's Day colors. Valentine party Lights: It is good to decorate your home with Dim lights, use candles and earthen lamps for decoration instead of using bright lights. You can use spot lights also to enhance the particular place or person of your party. 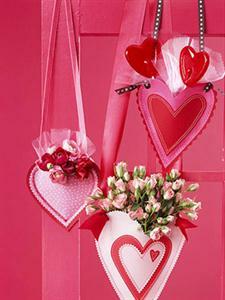 Valentine party decorations with flowers: It is the day of love so no decoration will be complete without the flowers. Use red and white flowers for the decoration though the roses are the favorite flower of this day but you can use some other flowers also like orchids, lilies, lavender or any other flower which comes in your budget and complement with your party looks. Flowers floating in a glass bowl look romantic and give a very pleasant feeling. Valentine party decoration with Cupid: Cupid a symbol of love can be used in your decoration, just hang the cardboard cupids (can be made at home also) hanging from the ceiling or have paper Cupids decorate the wall. You can also dress yourself as a Cupid as you are the host of the party. Valentine party decoration with balloons: Do not forget to decorate your home with lots of heart shape balloons, use some helium filled balloons to let them rest on the ceiling in your party room with the curling string hanging below them. 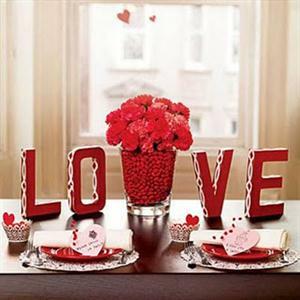 Table Decorating Ideas for Valentine party: A well decorated table can enhance the beauty of your party. Cover the table with a white tablecloth or sheet and sprinkle it with candy hearts and candy kisses. Place beautiful candles or flower arrangements on your table to make it more beautiful. 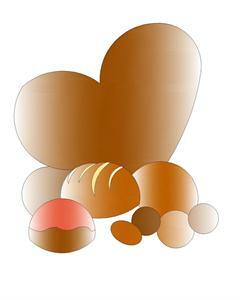 You can also place a large heart or cupid shape cake in the centre of the table. Wall Decoration Idea for Valentine party : Decorate the wall of your home with flowers or balloons just paste them with the help of cello tape, you can also place some beautiful pictures on your walls. Hang some hearts made up of cardboard or papers on the wall to give them a romantic feeling or just paint your walls red or pink (of course if you can want them for long). You can easily make a heart shaped faux red hydrangea wreath to decorate your walls. 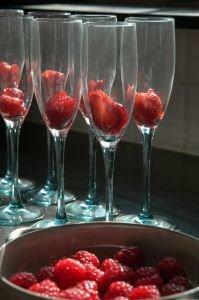 No party is complete without the food and when it comes to valentine party than a good party menu is essential. You can divide your menu in the three courses like any finger food such as Stuff sandwiches with pink salmon or crab meat, kebabs, cheese balls, pan cakes, mini crab cakes, sliced French bread and various toppings like tapenade, bruschetta, fresh mozzarella cheese, and roasted red peppers. as a starter, beef and chicken for the main course, and fruits, pound cake, strawberries dipped in chocolate ,heart shaped cookies and marshmallows for the dessert course. Party is not complete without the drinks so serve Valentinis, Cabochon Cocktails or Pink Passions. You can also serve Champagne poured into flutes and garnished with whole strawberries or just serve your own favorite wines and beers. Finger foods such as Stuff sandwiches with pink salmon or crab meat, strawberries, cherries, or raspberries can be served with whipped cream. Serve bread cubes and apples as a starter, beef and chicken for the main course, and fruits, pound cake, and marshmallows for the dessert course. For dessert try sundaes with strawberry ice cream or real strawberries. Find the ring game: Take a bowl filled with milk or any opaque liquid and throw one ring or coin in it. Now ask a couple to put their hands in, feel the ring and to take it out who finds the ring first declared the winner. Ring a Bell Valentine Icebreaker: Ring a bell and try to find the couple that most closely matches the description of each item on the list. You can ask the questions like which couples have the craziest nicknames for each other? Which couple plans regular date nights? Award points for one prize, or small individual prizes to the winner of each scenario and have fun learning more about the couples you share life with. You can play some more games like find the heart, Romantic Love Scrabble, Romantic Movies Valentine Quiz and many more. Favor is an act of courtesy to thank your guests by giving them party favor as souvenirs. 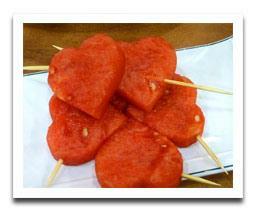 You can give Valentine candy or decorative candles as a Valentine Party Favors in a red bag to hold the party favors. 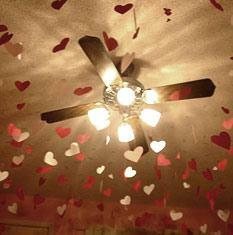 We are sure that with the help of these ideas you can throw a great Valentine Party at your home. It is the season of love and celebrations, so live it completely by partying, dancing and singing. Good food and good friends make for a good time. Do you want to give your beloved a surprise this Valentine's Day? We are here with some wonderful ideas to decorate your home to show your love and care towards his/her. Read the article given below to get some Romantic Valentine’s Home Decorating Ideas, how to arrange your bedroom for Valentine and Handmade Valentine Decorations to celebrate this day of love in very special manner.